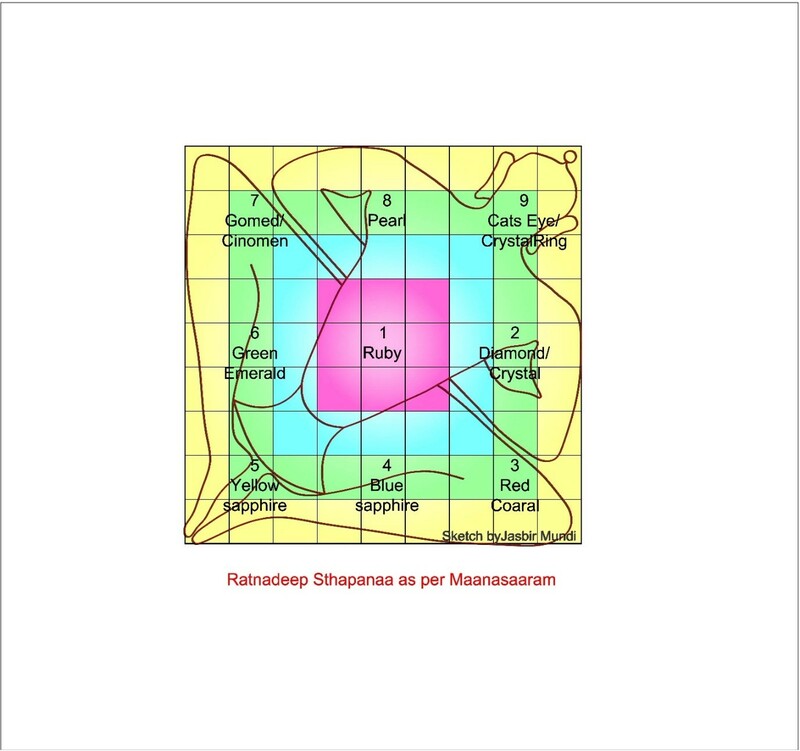 In Mayamatam and Maansaaram there is description of gems to be placed in foundation of bhavana at the time of construction to provide Aura and to protect the bhavana / Vastu from attack of unwanted elements. 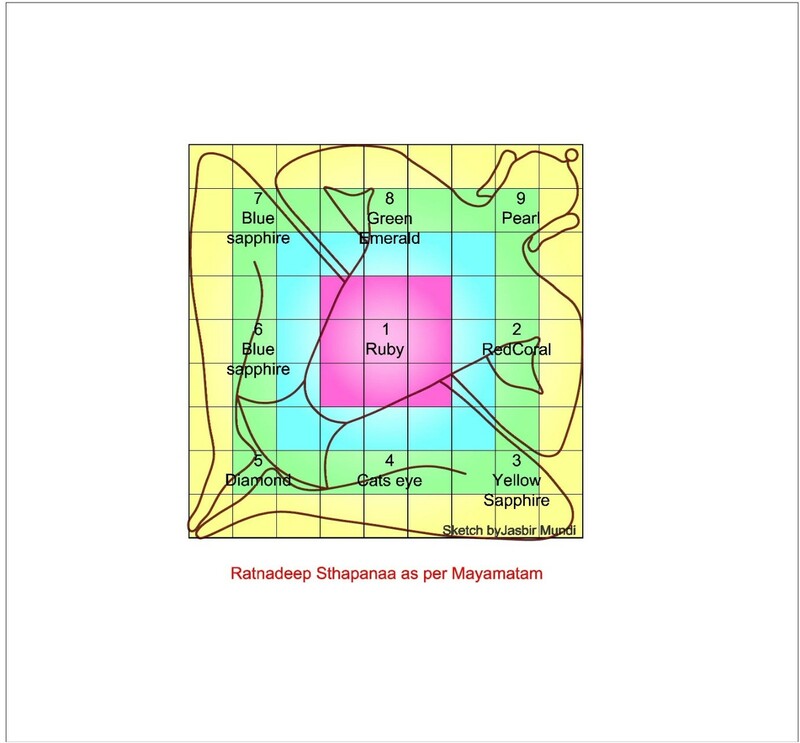 There are two different sequences of placing Gems in the foundation of Manushyaalayaa. The places indicated in Maanasaaram for placing of Gems (Precious / Semi-Precious Stones) are as follows�. 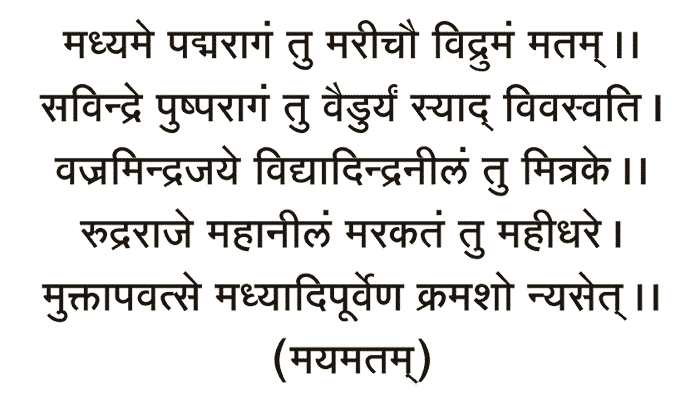 Ruby in Brahma Sthaana, Diamond / Crystal in the East, Red Coral in the South East, Blue sapphire in the South, Yellow Sapphire in the South West, Green Emerald in the West, Gomeda in the North West, Pearl in the North and Crystal/ Diamond / cats eye in the North East. The places indicated in Mayamatam for placing of Gems (Precious / Semi-Precious Stones) are as follows�. 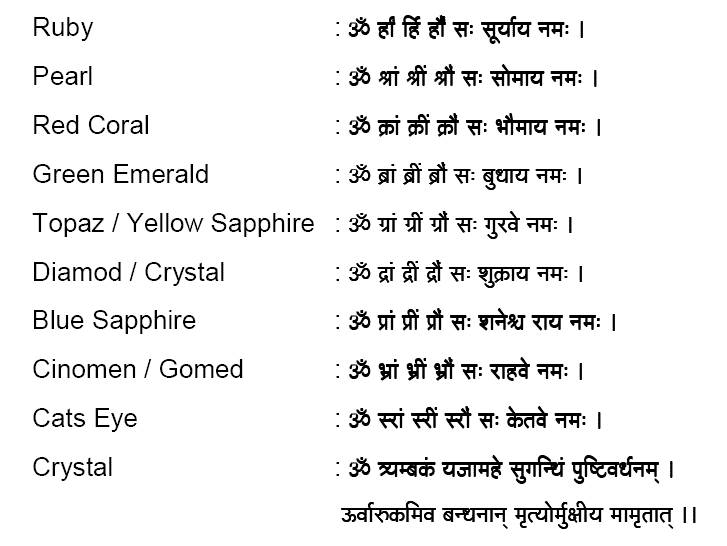 Ruby in the Brahma Sthaana, Red Coral in the East, Yellow Sapphire/Moti in the South East, Cat's Eye/Panna in the South, Gomed/Moti/Sphatik/Diamond/Crystal in the South West, Blue Sapphire in the West and North West, Green Emerald in the North and Pearl/Coral in the North East. 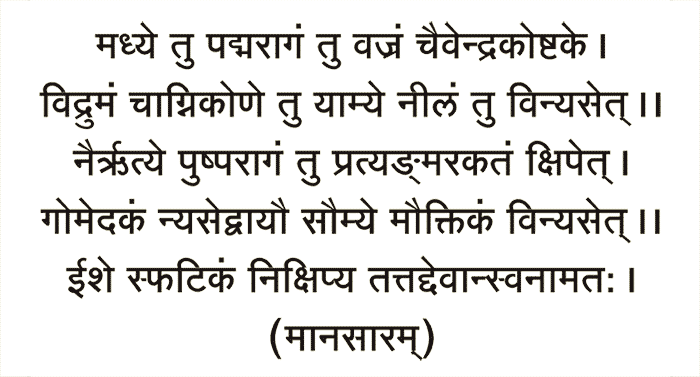 The Gem stones should be energized before placing them and to create the aura of that particular direction below mentioned beej mantras should be enchanted for protection.